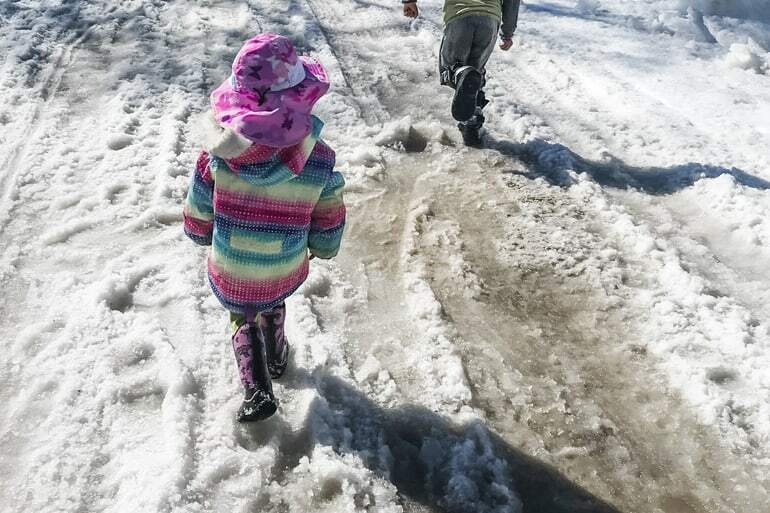 One of the biggest struggles with getting outdoors this time of year is keeping everyone’s feet warm, clean, and dry. 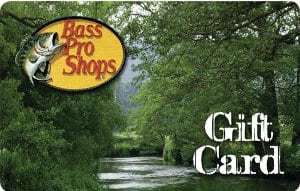 Enter: Muck Boots! 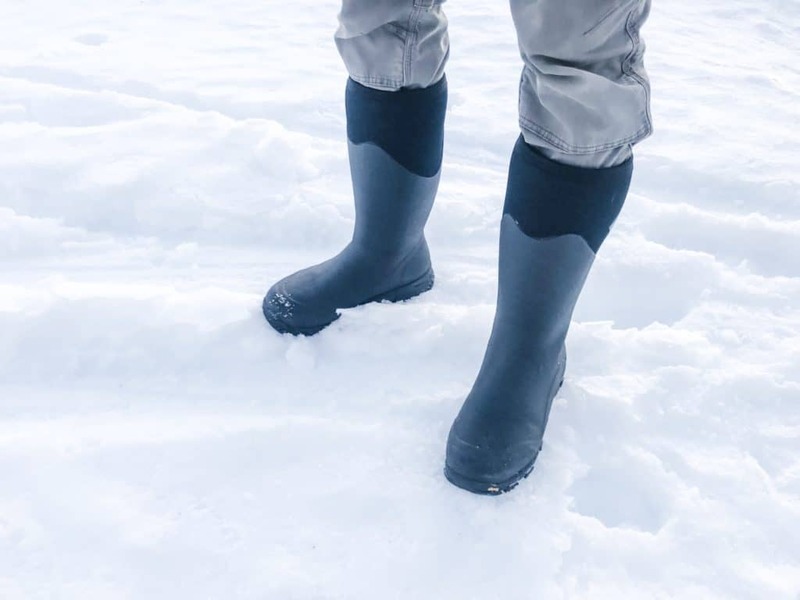 Made specifically for getting outdoors in these types of conditions, every boot in Muck’s lineup is 100% waterproof and all are designed to keep feet warm and comfy. 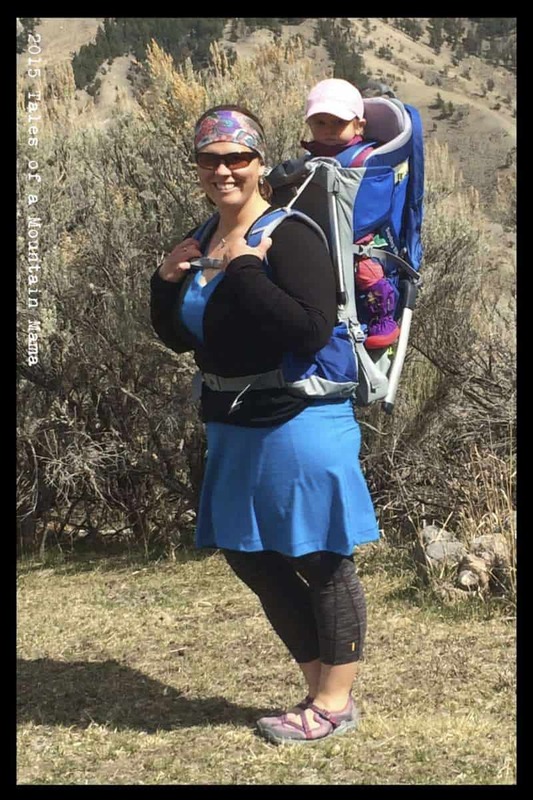 A few members of the TMM team and their families have been testing out boots for women, men, and kiddos and have not been disappointed! Note that the Amazon links in the widget at the bottom are affiliates. As always, the opinions shared in this review are exactly what we tell our friends and family. 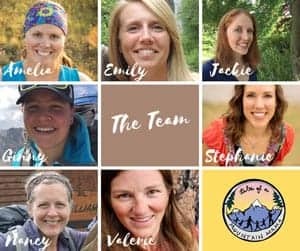 If you click through the links to purchase it doesn’t cost you a dime, and it helps us out a little bit, too! Amelia’s Thoughts: I have had many pairs of Mucks over the years, and these are hands-down my favorite. They are not only cute, but the grip is the best I have, even for icy spring conditions. As with all Mucks, they keep my feet warm with the proper socks (quality wool) and fit (a little room to breathe). I also tend to be sensitive to not enough arch support, and these do a fantastic job. They are comfortable enough that I walk miles in them daily. Valerie’s Thoughts: My feet are hard to please. 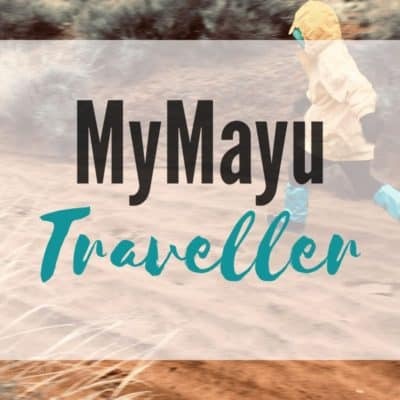 I live where snow covers the ground for almost 6 months out of the year and I suffer from Raynauds & Chilblains (both of which are triggered by cold temperatures). These boots are by far the warmest & coziest boots in my mud room, and yet they aren’t super heavy or cumbersome. They also feel comfortable in warmer spring weather, and keep my feet dry even when wading through deep puddles. I was worried they would feel tight as I have wide feet, but I found them to be super comfortable. 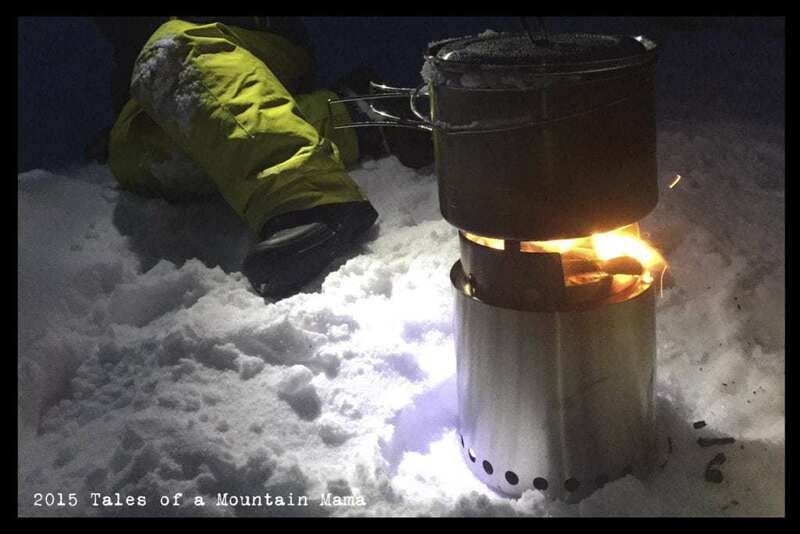 Traction is ample and grips the ice, hardpacked snow, and mud. The sole is flexible and the heel is nice and low. Honestly, these boots are practically perfect. But if I could tweak them a little, I’d make them a little more fitted in the upper portion from ankle to calf, which would make for a warmer boot. Emily’s Thoughts: This is a high-performance boot masquerading as stylish footwear! We have had a particularly wet winter with seemingly non-stop snow and ice, and these boots have been my go-to’s throughout the week. They’re not the boots I want to wear out on the trails (they’re too cute, I can’t bring myself to stomp in the mud with them!) but are perfect for walking across town and braving the icy sidewalks or sloshing through puddles. They keep my feet warm and dry while being nice enough that I can wear them on a casual day to work, taking my kid to the park, or even going out for a date night with the hubs. They are slightly more bulky than my typical everyday ankle boot, but don’t feel heavy or clunky. In fact, they keep my feet comfortable and happy even after standing for hours at work. I’m in love. Amelia’s Thoughts (via her husband! ): Super tall boots have their place for sure, and these were fantastic for a winter of really deep snow, followed by a spring of that snow melting and turning into a slushy mess. 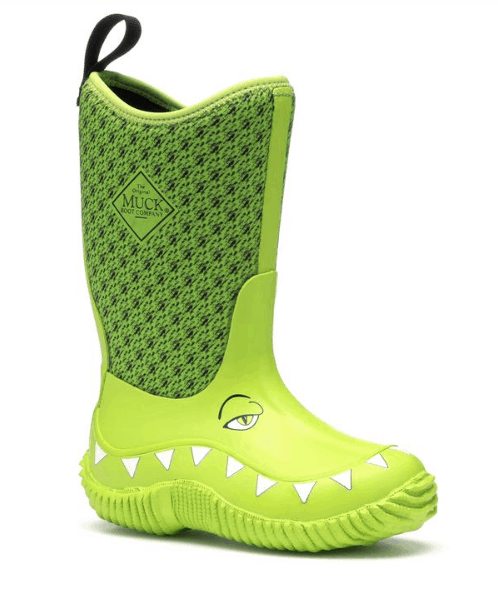 They are comfortable, completely waterproof, keep his feet warm and have great grip. 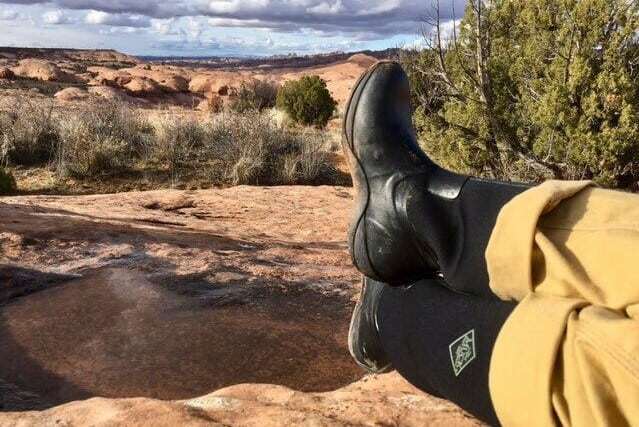 Emily’s Thoughts: For Muck performance that’s ready to hit the trails, this is your boot. 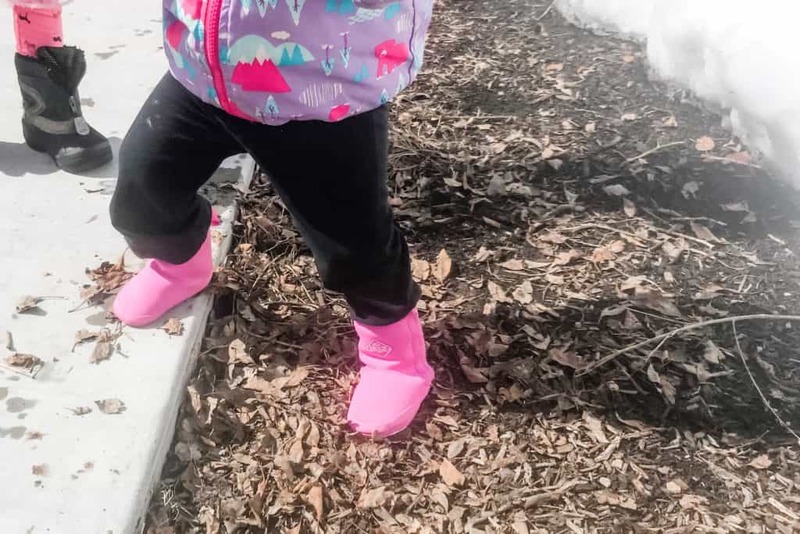 Hubs was impressed with the grip, ankle support, and constant comfort whether walking through dirt, mud, standing water, gravel, or on pavement and they kept his feet warm and happy across a range of temperatures from 20-60 degrees. Having worked in both construction and on a farm in the past, he has high standards for true waterproofing and had to submit them to a five-minute submersion test (in frigid waters). They kept his feet perfectly dry below the ankle, with the only weak spot being around the tongue. 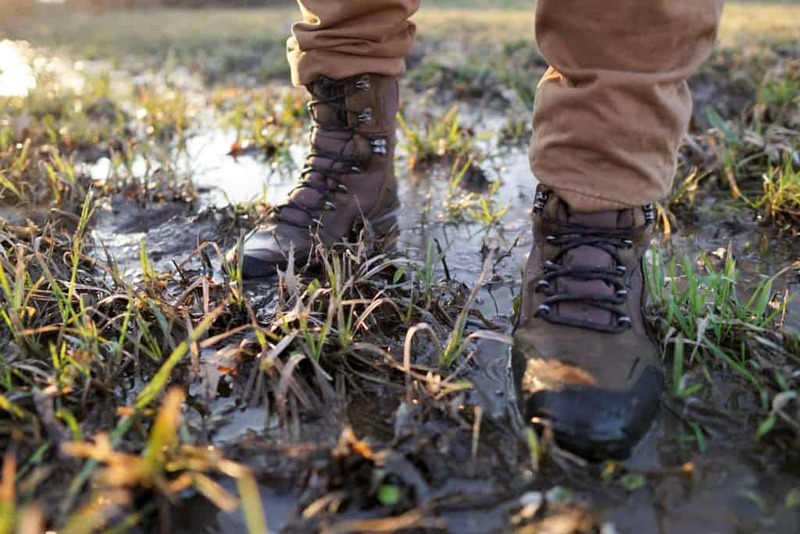 As long as care is taken to lace up properly around the tongue, these boots hold up admirably to Muck’s waterproof promise and the cold water temperatures weren’t even noticeable. Definitely a fan. 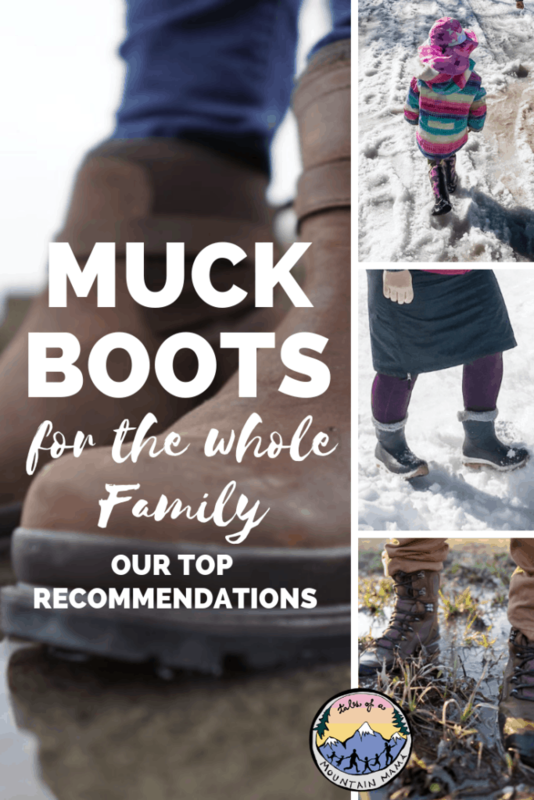 Amelia’s Thoughts: My kids have worn Muck boots for years and years now. They are the boots that stay in our home and get passed on from kid to kid. In fact, some of the boots that we have have now been passed through four kids and are no worse for the wear. For littles up to 24 months, this slip-on bootie is made to keep teensy feet warm and dry with 2 mm neoprene and a soft faux-fur lining. 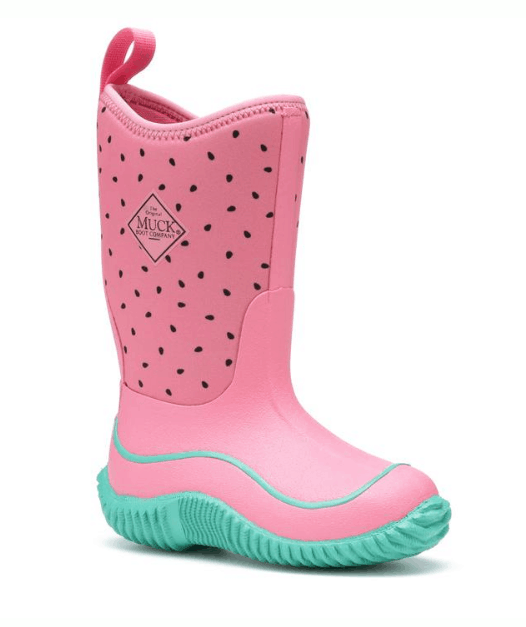 While these boots are super cute and do repel most of the moisture, they aren’t great for fat ankles or legs and are easy for babies to get off. The Muck Hale has been worn by three of our five kids for 3+ years. 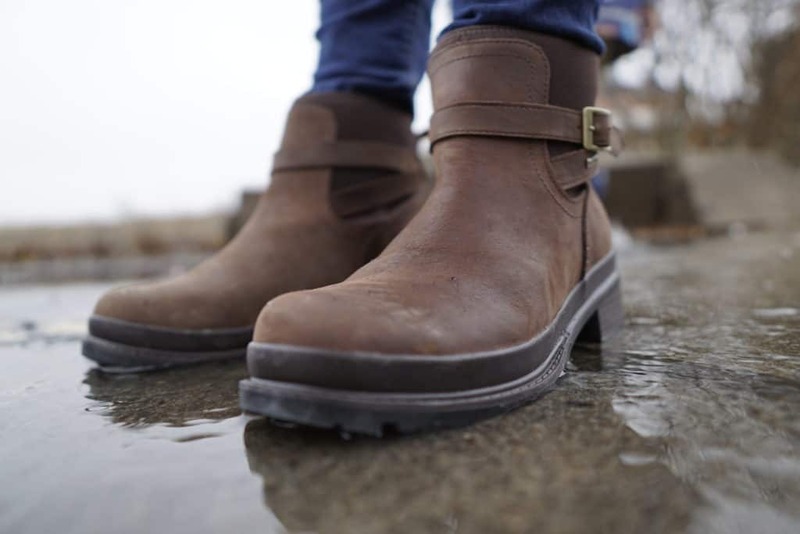 They are a great all-season boot for mud, muck, snow and rain. Since they are rated from subfreezing to 65 degrees F, they really are the ones that get worn year-round here (with the exception of super cold or hot, dry days). Muck also comes out with fun designs (like the ones below) often to keep it fun. Note, we have noticed that these do not work well for kids with larger heels or wider feet. They do better in the Muck Element.